This bite-sized burst of adventure is full of flavor and is the perfect sonic snack when you're hungry for new music. 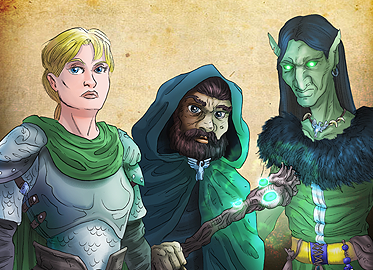 Season your games with new music for battles, towns, dungeons and more! Take a trip on the lighter fantastic with these upbeat and adventurous tunes! A whimsical dungeon delve, two exciting battles, peaceful town music and a rousing theme round out the collection. These tracks are suitable for traditional JRPG-style games, or any magical fantasy setting. 5 BGM tracks suitable for battle, dungeons, themes, and towns! 5 ME (Musical Events) to spice up scene transitions or punctuate important moments! .wav, .ogg, and .mp3 formats included. Bonus: Store exclusive - get a free extra theme Venture Forth!